Athletic with sharp, modern styling throughout, the Volkswagen Tiguan provides the fun-to-drive attitude of the crossover SUV with the precision-engineering you’d expect from a Volkswagen. Its interior balances the refined with the functional, offering a number of innovative features to take the edge off your commute. Leasing offers drivers a number of advantages when it comes to getting behind the wheel of this great SUV.The big question you need to ask, though, is if it’s the right choice for you. At Volkswagen Lee’s Summit, our team is committed to helping drivers throughout Lee’s Summit, Overland Park, and Mission, KS, understand the full range of available financing options. 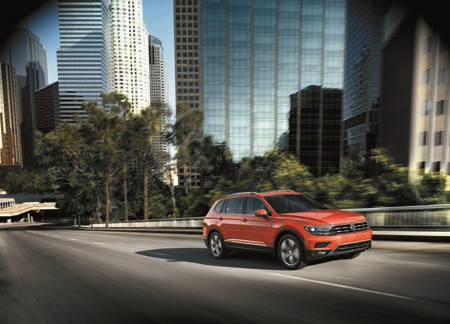 Continue reading to learn about our Volkswagen Tiguan lease deals and see if it will be the best fit for your lifestyle. Why Consider a Volkswagen Tiguan Lease? Whether on- or off-road, the VW Tiguan provides a comfortable and responsive ride along with the right amount of power to get you safely to your destination and back. Equipped with a 2.0-liter TSI turbo engine, the VW Tiguan easily reaches up to 184 horsepower and 221 lb-ft of torque. This seamlessly combines with an eight-speed automatic transmission with Sport Mode, designed to provide greater handling on rough road conditions. 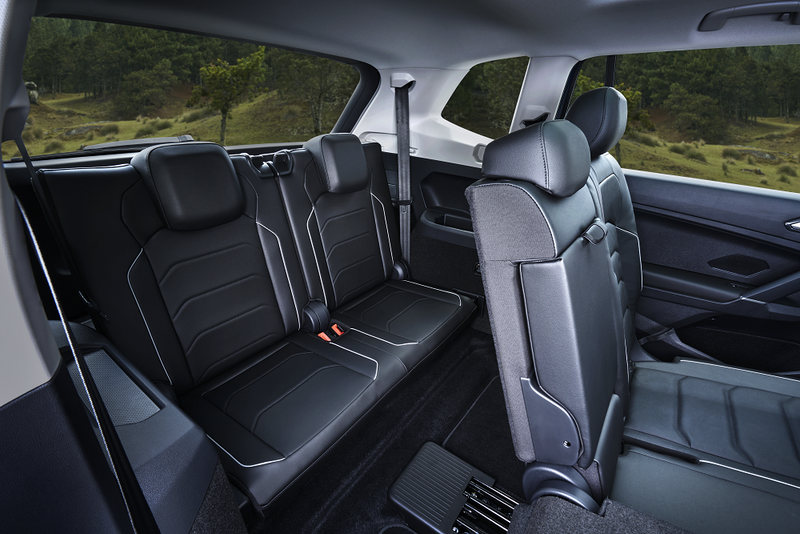 Inside, you’ll find its spacious cabin is well-crafted and full of tricks designed to make hitting the road easier. You’ll be amazed at how much you can fit when the second-row bench folds flat with the simple pull of a lever, creating 73.5 cubic feet of cargo space. Extra passengers? Not a problem when you have an available third row of seating that turns this small SUV into a spacious family cruiser. The Vienna leather-trimmed seats and multifunction heated steering wheel offer style, comfort, and convenience, while active safety features like Adaptive Cruise Control and Intelligent Crash Response provide extra peace of mind. All this is controlled via a 12.3-inch VW digital cockpit display, which provides personalized information along with available GPS navigation. Leasing provides a number of advantages over buying in terms flexibility, since you only pay for the length of your lease term. A typical lease term is between two to three years, which often results in lower monthly payments for the lessee. Once you reach the end of your term, you can simply return your VW Tiguan and upgrade to a newer model. This flexibility is perfect for those who enjoy staying up-to-date on the latest features and technology, or who aren’t interested in committing to a long-term investment. If at the end of your term you wish to keep your VW Tiguan, our financing team can help you adjust your terms, so you can begin the process of owning it. Securing the right financial terms is an important step in the leasing process. Once you’ve picked out the perfect model and trim, sit down with our friendly and knowledgeable team of financing experts who are committed to securing you terms that will best fit your budget. To begin the leasing process, simply complete a financial application ahead of your visit. Once submitted, our team will be in contact with you to go over a range of available options. Test Drive the Volkswagen Tiguan Today! At Volkswagen Lee’s Summit, we value the relationships we build with our customers by providing a quality experience with each visit. If you’re a driver near Lee’s Summit, Overland Park, or Mission, and ready to take the next step, stop by our convenient showroom or schedule a test drive today!